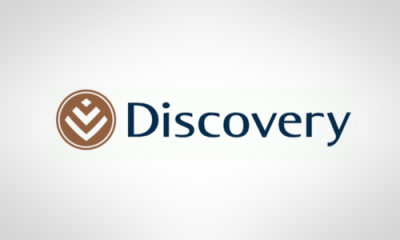 InsuranceFundi | Want to know the truth about the Discovery Health Medical Aid Scheme? Want to know the truth about the Discovery Health medical aid scheme? For those of you who don’t belong to Discovery Health – but who might consider moving there in future – it still makes worthwhile reading. I’m going to mention the most popular plans on offer by Discovery Health as voted for by the current members (As voted for with their chequebooks!). Who knows, if in the near or distant future, you decide to switch to Discovery Health, the most popular plans might just stick in your memory, giving you a starting point for choosing an option? More to the point…I have in my possession the latest Discovery Health review (31 December 2010). This review does not include their life insurance or investment business! I was about to toss it into my Discovery folder – along with all their other material which I never read – when I had one of those rare moments of extreme clarity…If I don’t look at this right now, chances are that I’ll never look at it. Don’t laugh! How many brochures do you have on your desk which you’ve been meaning to get around to? Anyway, boy am I glad I did! For instance I’m on the Discovery Health Classic delta saver plan. How many other extremely intelligent people had chosen the same plan? The answer: 20, 015 main members (out of 1, 118,328 in total)…Obviously I’m not as intelligent as I thought! So how many main members are on your Discovery Health plan? Classic Comprehensive – 182,404 main members or 17,9% of their scheme. Which chronic illness benefit has the most people registered for it? Hypertension comes in at number one with 207,298 individuals registered. Hyperlipidaemia – or high cholesterol – is second with 115,053 individuals registered. Asthma comes in third with 67,025 individuals registered. Diabetes type 2 comes in fourth with 45,064 individuals registered. HIV has 19,977 lives registered. Is the Discovery Health Scheme growing? In December 2010 the number of main members was 1,017,896 with 2, 244, 019 dependants. The average family size was 2.20 and the ratio of pensioners was 9,96%. The average age of the main member was 42.88 while dependant’s average age was 32.68. You can clearly see that membership is growing (from 2, 480,611 in 2005 to 3,261,915 in 2010) BUT you can also see that the average age is increasing. The ratio of pensioners versus employed persons is also on the rise which could mean rising claims and therefore increased costs. Will Discovery Health be able to continue growing their membership going forward and keep the age increases in check? How strong is Discovery Health in the various provinces? How much gets paid to Discovery Health each year in contributions? In 2000 this figure was R3,5 billion. And how much fat do they have built in? R6, 1 billion in 2009 versus R5, 3 billion in 2008 which is a good thing…We don’t want to belong to a scheme on the brink of bankruptcy, do we? What sort of increases have they had over the years? But don’t read too much into that…remember that benefits might have reduced over the ensuing years which is why you need medical aid top-up cover! Nevertheless, increase were way below the industry average for 2011.